The TaylorMade R1 Black Driver has a black finish and can be tuned to fit tour pros and amateurs alike. It can be tuned to any loft, any look, and any flight. 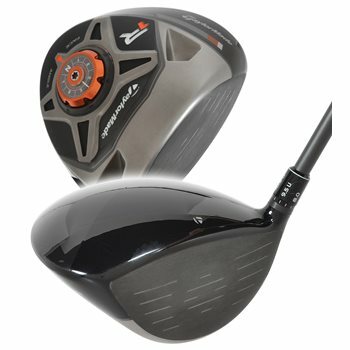 The R1 Black driver has 7 standard and 5 upright loft options from 8-12 degrees. It has 7 face angle options (square, open, medium-open, maximum-open, closed, medium-closed, and maximum-closed) as well as movable weights to promote a neutral/straight flight or a distance-enhancing draw. This driver also features a lower and more forward CG to promote a high launch, fast ball speed and low spin. The result is one driver that can be adjusted to fit any player. Black clubface and traditional black crown finish minimizing glare. Improved aerodynamics reduces drag over the head to promote faster clubhead speed. Does this shaft and adapter fit in the Jetspeed driver? Does the R1 shaft and adapter fit in the Jetspeed driver? Both drivers use the loft sleeve fitting type so it will fit in a Jetspeed. However, the labels for the different settings will be different as the R1 sleeve states a particular loft while the Jetspeed states the variance from the actual clubhead loft.